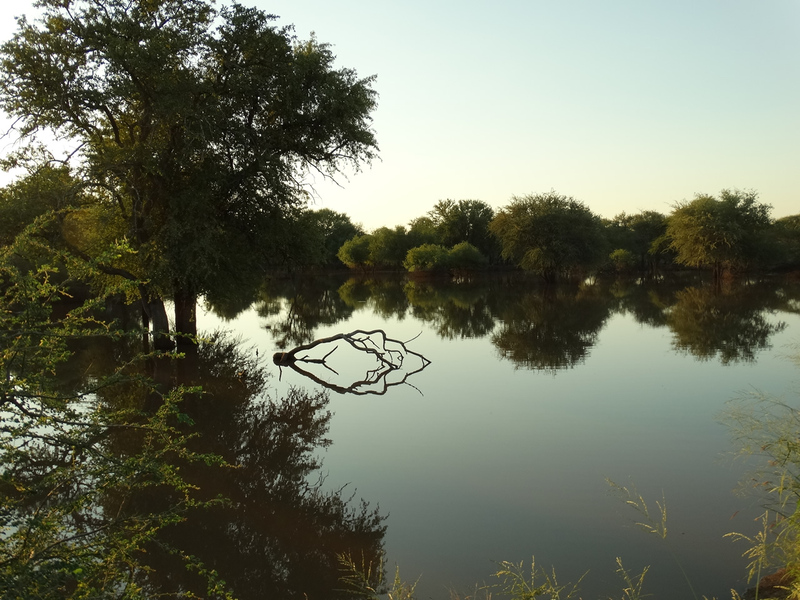 Location: Situated in Botswana near Francistown. You will drive some distance on tar road and then on well-maintained gravel roads. 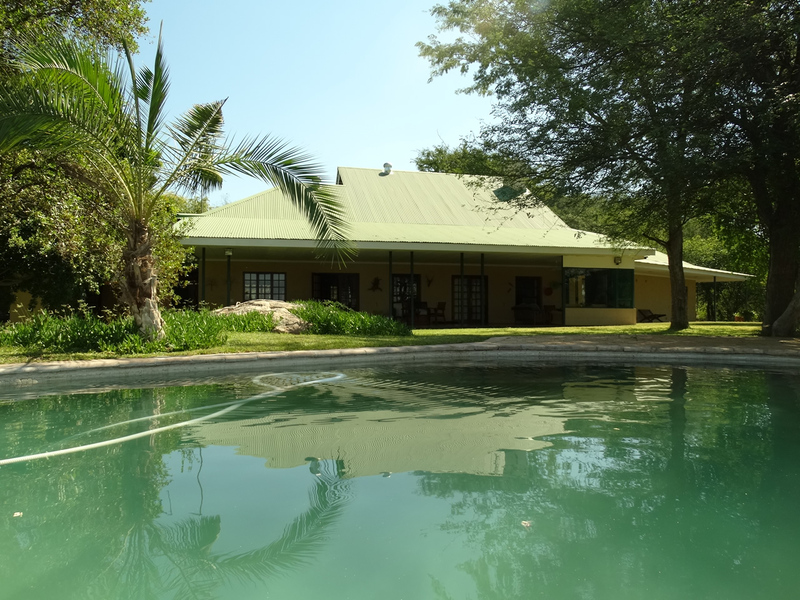 Developments: The game ranch is characterized by its colonial style lodge with traditional thatched cottages. There is also a manager’s house, staff accommodation, and workshop and service areas. Several nesting pairs of endangered Lappet Faced Vultures, White Backed Vultures, African Hawk Eagles, Tawny Eagles and other raptors. 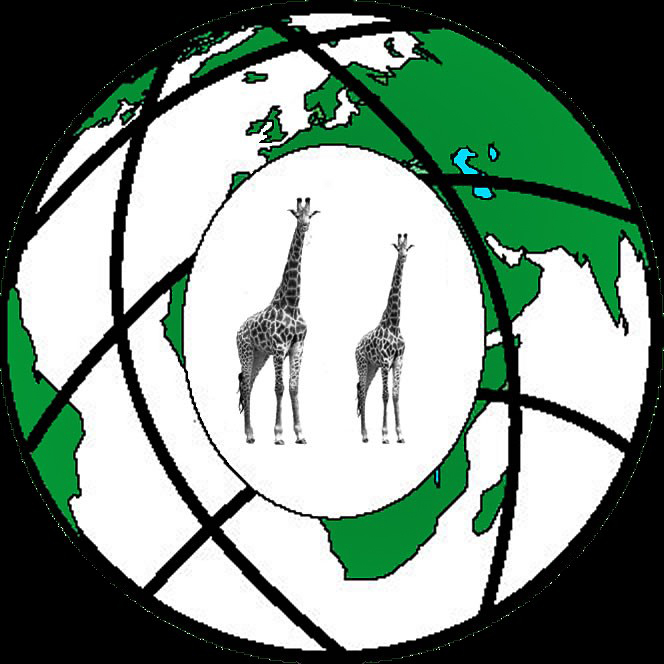 African Fish Eagles, Bat Hawks, Eagle Owls, Ground Hornbills, Black Storks, Kori Bustards, Ostrich, One European Stork, ringed in Poland, found on the ranch. Game birds comprise of Crested, Natal & Swanson’s Spur fowl, Guinea Fowl and Double Banded Sandgrouse etc. 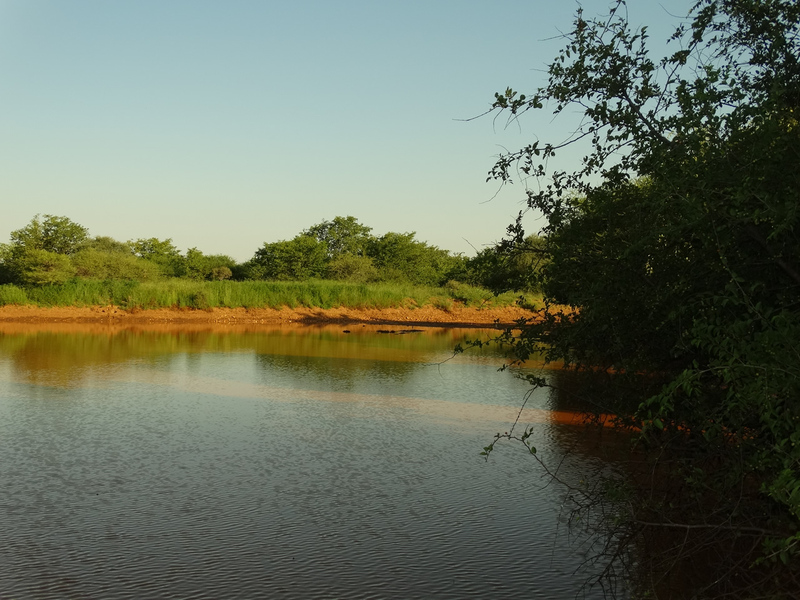 Typographic: This is a game ranch which consists of 7km of river frontage as well as another river bed that is running roughly north-west to south-east through the property and the property has several banded ironstone kopjes (rocky hills) near the one boundary. The property is mostly and gently undulating with mostly shallow gravelly soils. 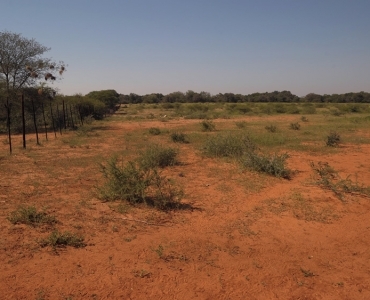 Areas of red soils, black expanding clays and granitic soils as well as the frequent ecotones covers this property. 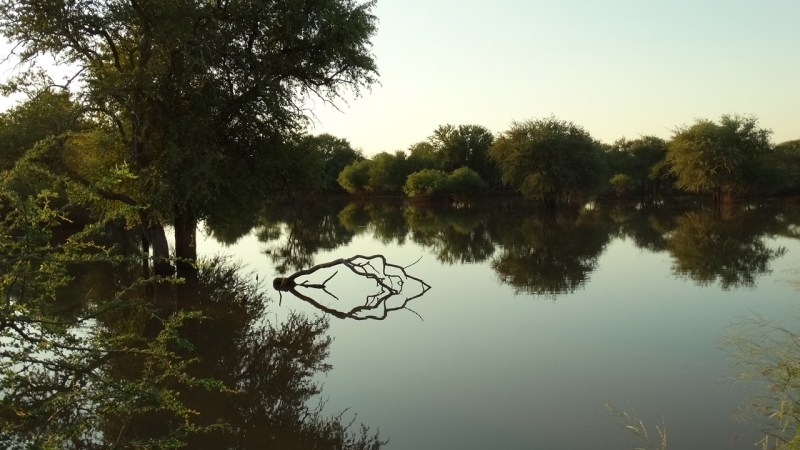 At the river’s, floodplain area is a variety of different landforms. 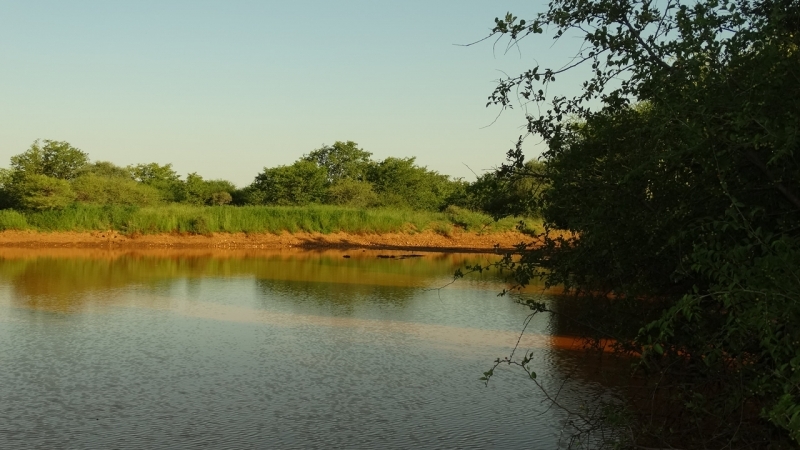 The game ranch has an interesting but diverse mixture of woodlands, thickets and towering riverine species. 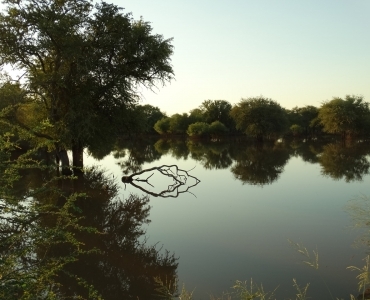 The dominant type of trees are the Colophospermum (Mopane) woodland as well as mixed Acacia veld in floodplain and river environs. 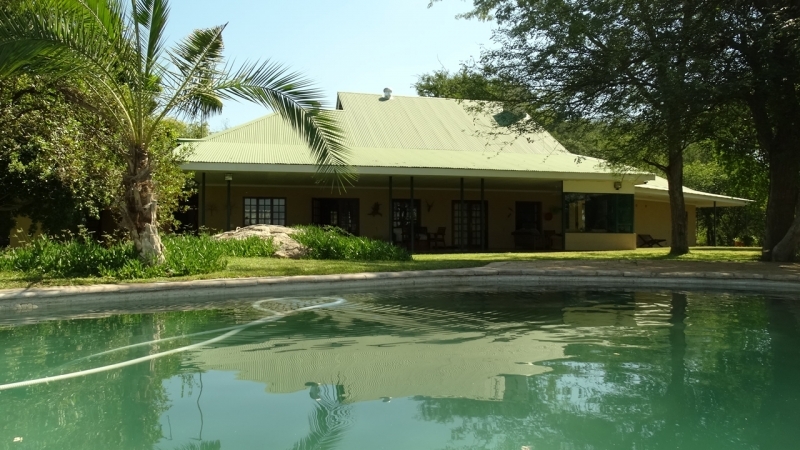 Potential: the economic potential of this game ranch is huge due to the Easy access for international tourists – the farm is 50 Kms from the Francistown international airport with direct flights from Johannesburg 3 times a week. 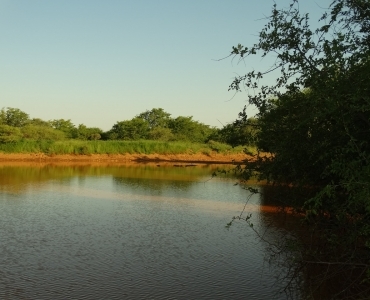 It is also an ideal venue for both Rifle and Bow Hunting as well as wing shot safaris. the lodge lends itself to conversion and additions to accommodate suitable numbers of guests.